Chelsea and Michael, Australians who Sell Up Pack Up and Take Off to Vejer de la Frontera, Spain to discover their souls in Andalusia. For many, Europe is the dream destination for an adventure or an escape. But Chelsea and Michael moved to Spain for very different reasons. It was the death of Chelsea’s Spanish-Australian father, when she was in her early 20s, that focussed her on Spain. Chelsea took her father’s body back to his homeland. When she arrived in Galicia, an area in the far north-west of Spain just above Portugal, Chelsea had an epiphany. ‘I saw why I looked the way I did. I saw my blood everywhere. I felt it. I was really overwhelmed. I was freaked out in one sense that I had lost my dad, but on the other hand I got this family. I couldn’t speak Spanish, neither could my extended family there speak English, but we just connected. In Australia, Chelsea had a great job in media. She met her partner, Michael, a web design whiz, through work. Michael also played a part in the move. He needed international experience to sharpen his design skills so he was keen to take the leap, too. These days, he is freelancing from Spain and his business, which caters mainly to international clients, is strong. However, things went a bit pear-shaped for a while, primarily because Michael was offered a dream job in Stockholm and Chelsea hated the place. They were there for three years before Chelsea ‘spat the dummy’. They decided to return to Australia. Chelsea and Michael had already shipped their possessions back, but en-route they visited southern Spain for a short holiday. 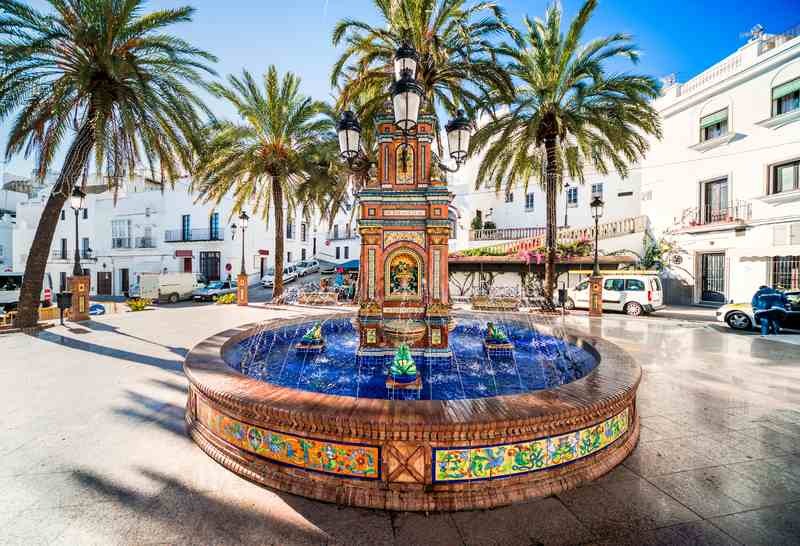 A thoughtful friend had offered them his holiday house in Vejer de la Frontera, in the province of Andalucia in south-west Spain, not far from Cadiz, Jerez and Seville. They arrived in July 2012 and had planned to spend two months there. ‘We haven’t left,’ Chelsea said. Instead, Chelsea and Michael sold their apartment in Newtown in Sydney and bought a wonderful apartment on Vejer’s old city walls. The town is quite breathtaking. All the buildings are white washed. It sits on a low hilltop with views over the Straits of Gibraltar. It is surrounded by vineyards and orange groves and has several ancient churches and convents. Fighting-bulls are bred in the area and flamenco is celebrated. There are many restaurants and bars, but they are all nearly impossible to find as you walk through the curving maze of cobblestoned streets. Cars are not encouraged; it is a town for walking. The architecture of many of its houses reflects the period of Moorish rule, which lasted from 711 until the town was captured by Saint Ferdinand of Castile in 1248. It’s full of history. The area is the heartland of sherry and at its centre is the town of Jerez (which literally translates as ‘sherry’). Chelsea has become heavily involved in the local sherry-producing industry and was paramount in establishing World Sherry Day. Her passion is to promote, what she believes, has been a poorly marketed but high quality wine. And the sherry is excellent. We had several glasses as we chatted – and left there glowing. Sherry is cheap. We drank a glass of 12-year-old sherry. The bottle cost only 10 euros.